James Mulcro Drew | vergrössern © 2005 by Kelly Drew Baskett [submitted by Mary Gae George] · All Rights Reserved. Sad news, I heard today that my friend the composer James M. Drew died on December 23rd after a short illness. 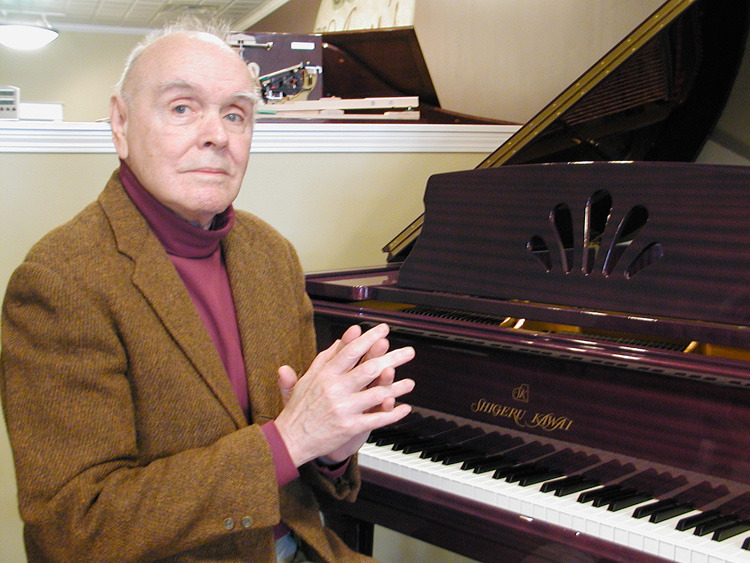 James M. Drew was born in 1929 and studied with Wallingford Riegger and Edgard Varèse. He taught at Northwestern University, Yale University, UCLA, Cal State, and other institutions. He has performed with and co-founded several musical groups, including the Crossfire Mission Orchestra in the late 1960s in New Haven (radical performances, often behind barbed wire), the Mysterious Traveling Cabaret, the American Music Theater in California, the Blast Opera Theater. In his quasi-retirement he has undertaken concerts and arts education work with the Grey Wolf Project. In 2007 I did a montage for James, it is a 37:44 minute montage of recordings of James M. Drew's rich musical ceration in a "Flow of Musically Experienced Time." Info : This James M. Drew podcast track is a montage presenting excerpts of James M. Drew's rich musical ceration. The assortment and montage of the material was implemented by Ralph Lichtensteiger with authorization by the composer James M. Drew. Although the composer James M. Drew is not responsible for the assembly of the material used in this podcast. © 2007 by Ralph Lichtensteiger & James M. Drew. All rights reserved. Unauthorized digital duplication is a violation of applicable laws. - Cantolobosolo for contrabass (Bertram Turetzky). From "Tenors, Echoes, and Wolves". 9Winds CD NWCD0200. Almost Stationary [09:23] [excerpt] by James Drew © 2007 by James Drew and Greywolf Performing Arts Institute.